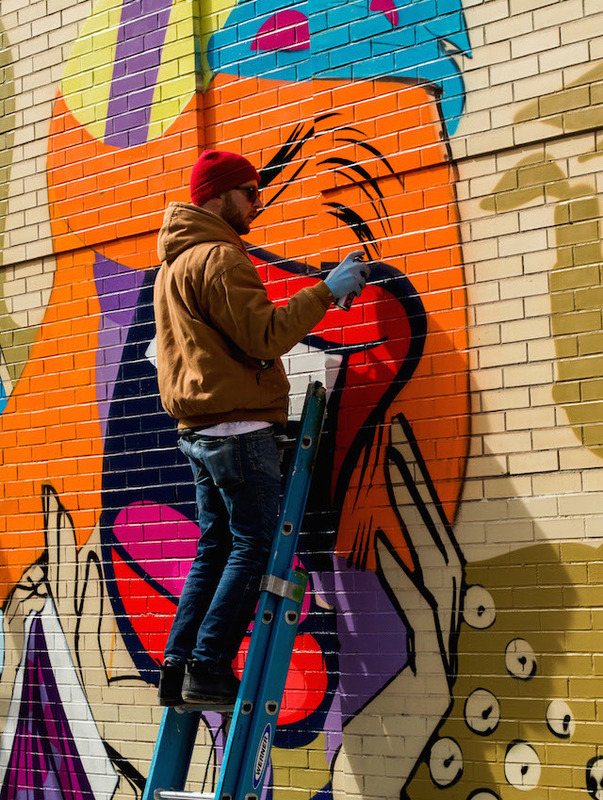 This week Pose MSK, who is visiting New York City from Chicago to take part in the VOLTA art fair with Jonathan Levine Gallery, painted a mural in Little Italy with The L.I.S.A. Project NYC. 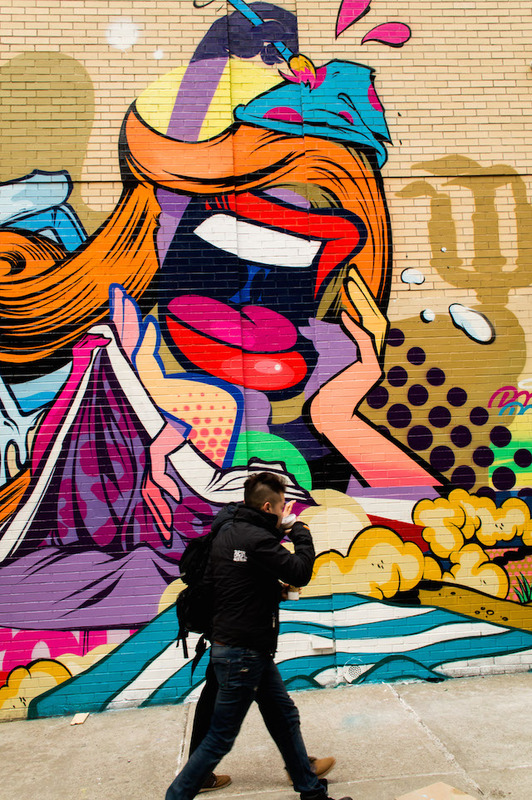 Pose's work combines elements of signpainting, advertising, comic books and graffiti into collage-like pop-art compositions. 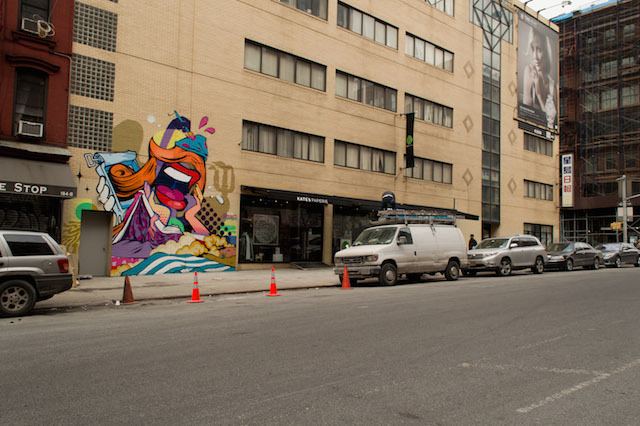 The mural is located at 188 Lafayette, at the corner of Lafayette and Broome, and is the only mural Pose has running right now in Manhattan, although many New Yorkers may already be familiar with Pose's work since he painted at Houston and Bowery alongside Revok last year. This is the just the beginning though. Later this year, Pose will return to 188 Lafayette to paint a mural five stories tall at the same location. With this mural, The L.I.S.A. 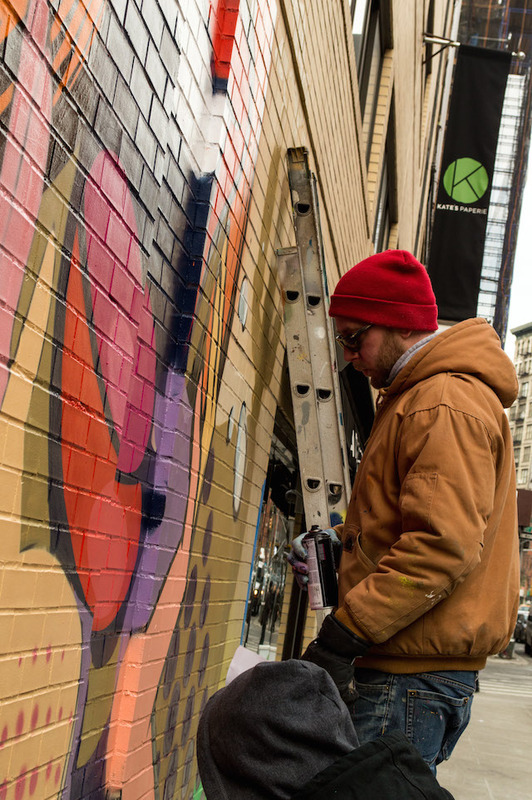 Project continues to expand and kicks off what promises to be a mural-filled month. Be on the lookout for new murals by Logan Hicks and Jerkface walking distance from Pose's wall, and that's just what we've got confirmed. 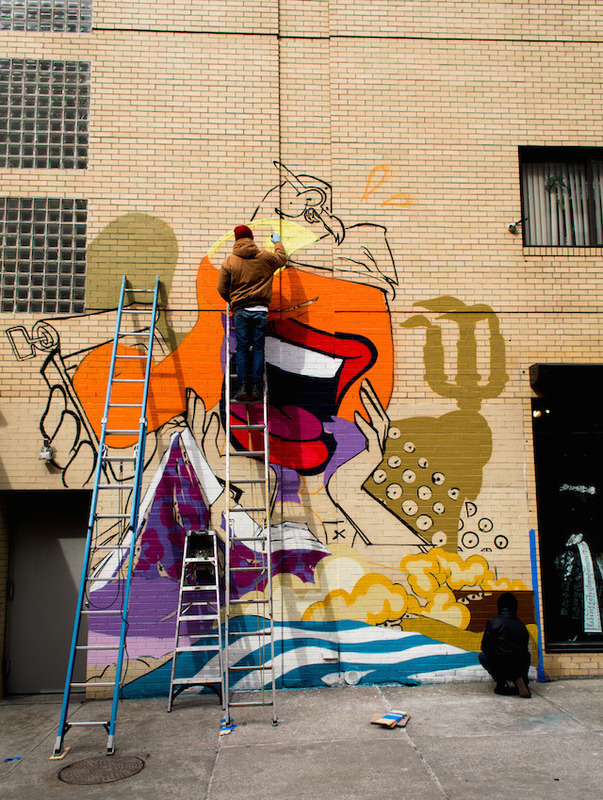 Pose's mural was organized by The L.I.S.A. Project NYC with support from Robin Mui, CEO of Sing Tao Newspapers NY, and Kate's Paperie, a local business located next to the mural. The L.I.S.A. 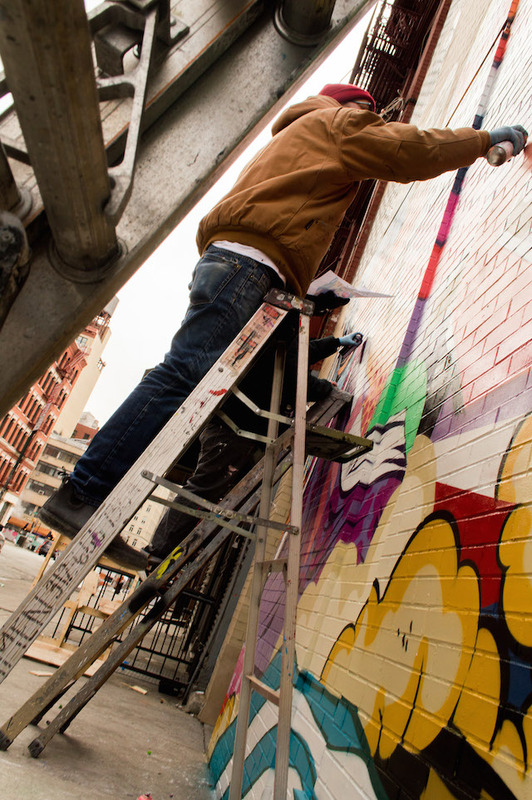 Project NYC was created by Wayne Rada and is under the creative direction of Wayne Rada and RJ Rushmore of Vandalog.com. 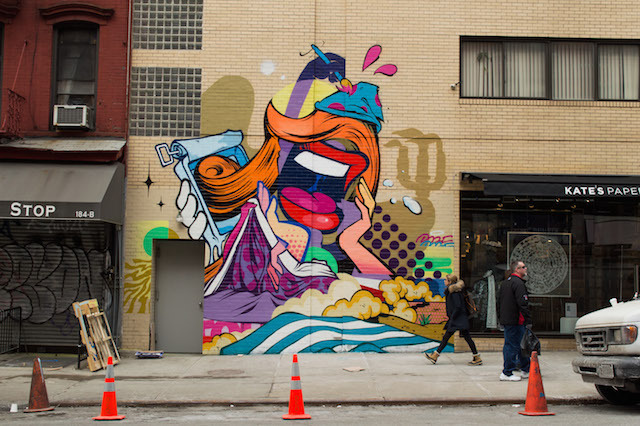 Headquartered in Little Italy, the project's mission is to bring a diverse group of street artists together in Lower Manhattan to create Manhattan's only mural district, encouraging New Yorkers, art fans and tourists alike to visit or revisit Little Italy to view and photograph the art work.